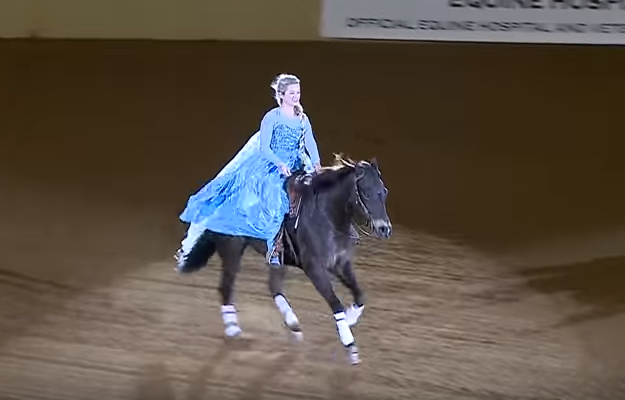 With the performance inspired by Disney’s Frozen, 23-year-old Laura Sumrall wins the title, World Freestyle Reining champion at the 2015 Kentucky Reining Cup. Reining is a western riding competition for horses where the riders guide the horses through a precise pattern of circles, spins, and stops. All work is done at the lope (a slow, relaxed version of the horse gait more commonly known worldwide as the canter), or the gallop (the fastest of the horse gaits). Sumrall and her horse Wimpys received a standing ovation after their astounding performance of “Let It Go”. 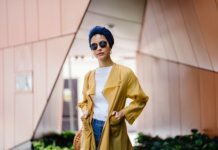 The Frozen-themed idea came from her mom which has become an online sensation around the world-especially with the moms and their kids. Laura is senior captain of the women’s equestrian team in Texas A&M University. After she removes her mysterious purple cape to reveal the flowing, sparkling gown underneath, Laura and her incredible horse, Wimpys Top Model, left the audience stunned. “I’ve inspired a lot of little girls to really go out there and ride their ponies which makes me really happy,” Laura says. The competition showcases the athleticism of ranch horses and their riders.